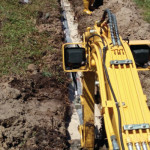 CablesOne national and local scope of work involves all methods of underground excavation for fiber installation along with aerial placement of fiber optic cable on existing power poles, manholes, hand holes, vaults and fiber splicing. Our multiple annual project completions are the result of project awards generated by our customers through unit price and competitive bid contracts on major projects. Throughout the years, CablesOne completed multiple Rural Utility Services (RUS) fiber optic cable aerial and underground installation projects that were funded by the federal government stimulus program designed to provide high speed internet access to residents of rural farms and communities throughout the United States. The scope of the work included hundreds of miles of underground fiber optic cable installation via all methods of excavation with the majority of cable installed by the plow train direct bury method in all soil conditions. 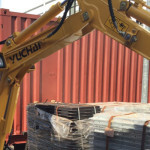 The scope also included manhole placement, creek and river crossings, fiber optic cable splicing, Fiber To The Home (FTTH), building entrances and inside plant (ISP) technical services. Complete restoration of all impacted areas gets high priority at CablesOne in addition to a constant focus on safe working practices. CablesOne provides all types of outside construction (OSP) and inside plant (ISP) services to the Data and telecom industries.